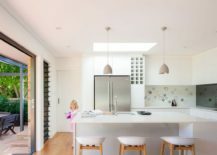 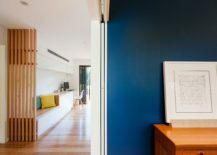 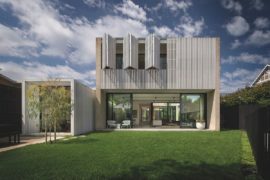 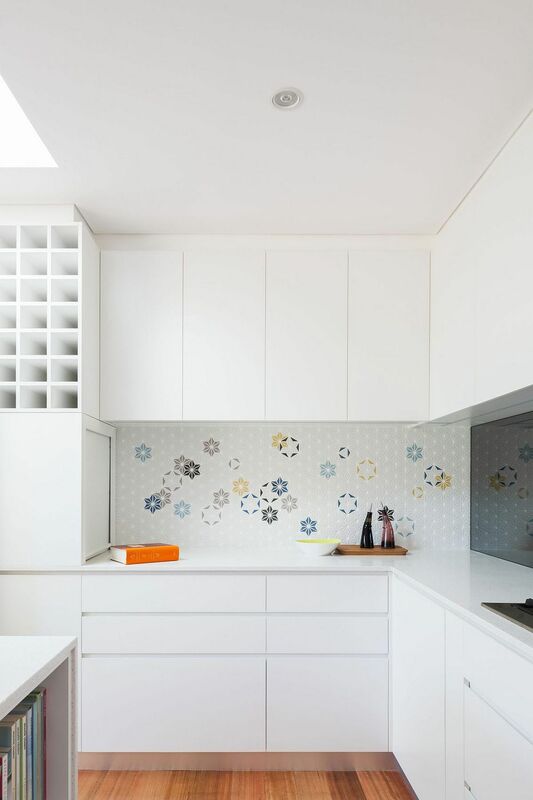 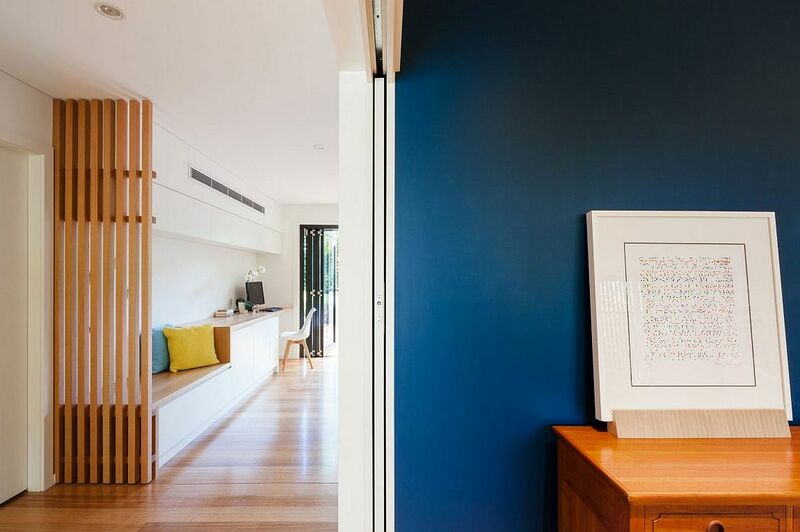 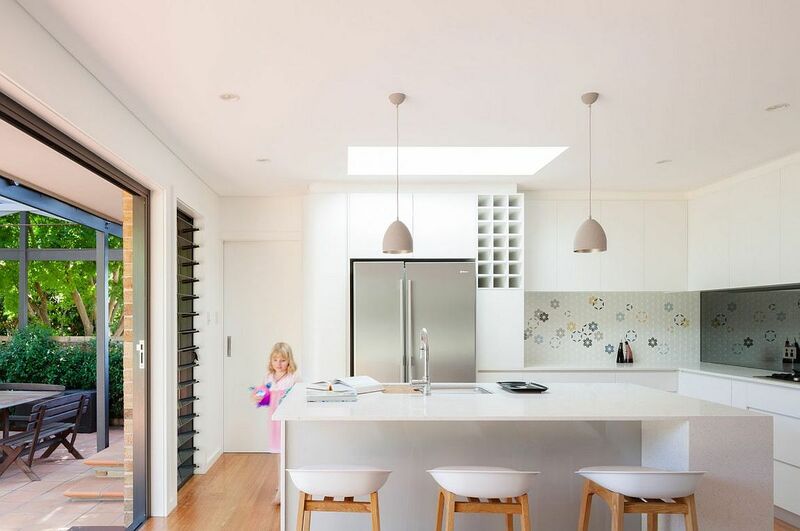 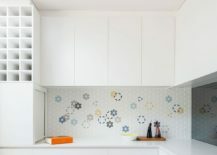 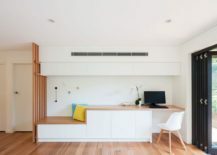 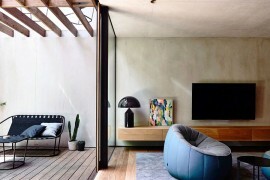 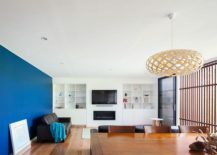 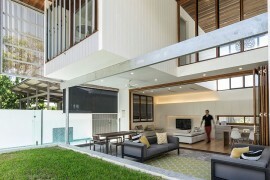 Giving a 1960’s home in the bustling neighborhood of Belrose, Sydney a smart modern makeover, Bijl Architecture turned to innovative design and sweeping alfresco spaces to create a stylish, contemporary family home. 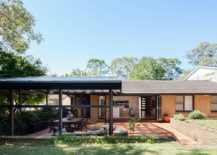 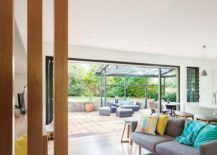 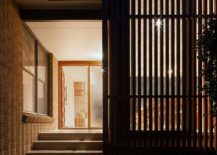 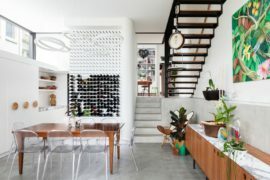 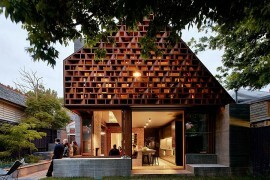 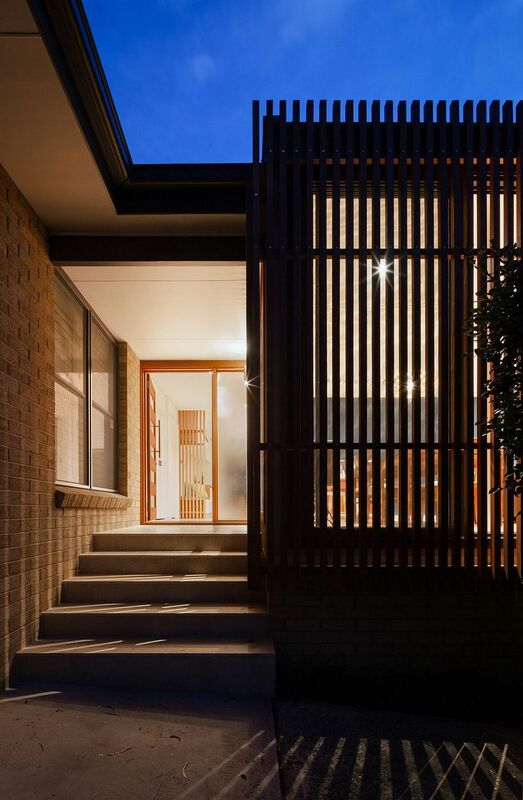 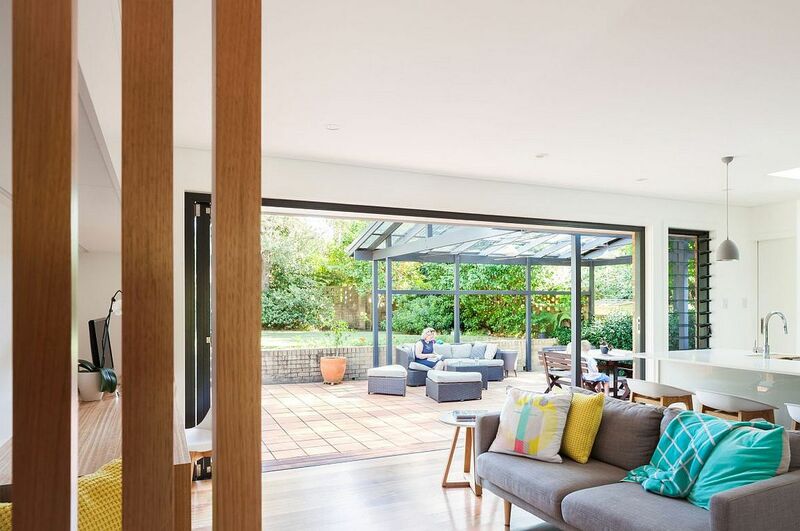 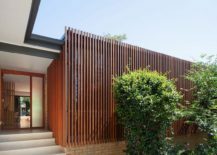 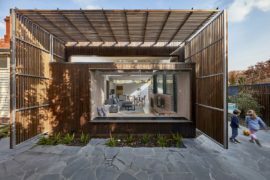 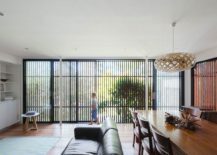 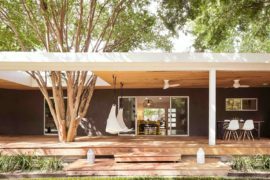 The original brick façade of the house was considerably altered by turning the old veranda at the front into a fabulous timber screen that offers complete privacy to those inside. 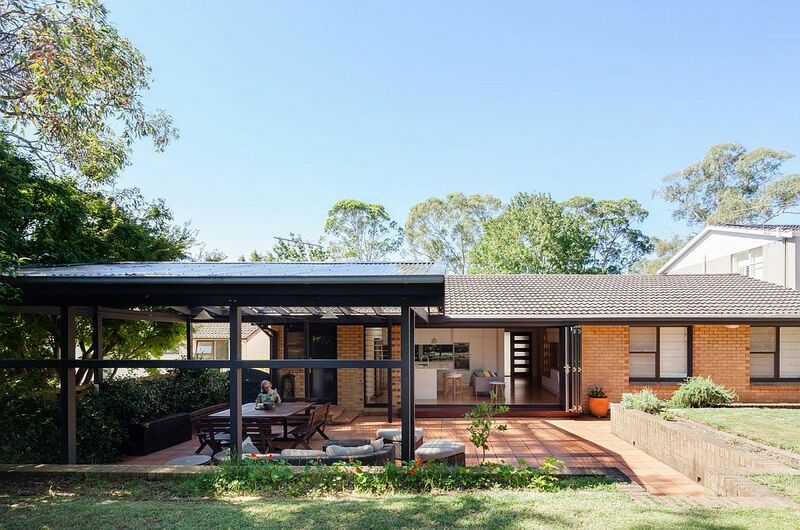 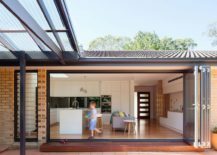 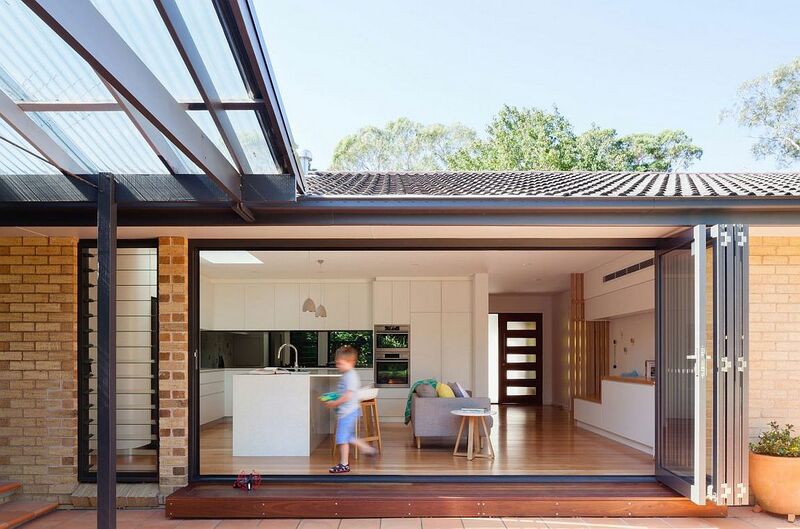 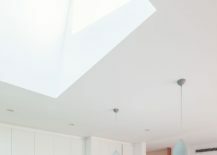 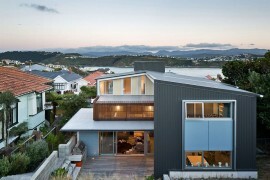 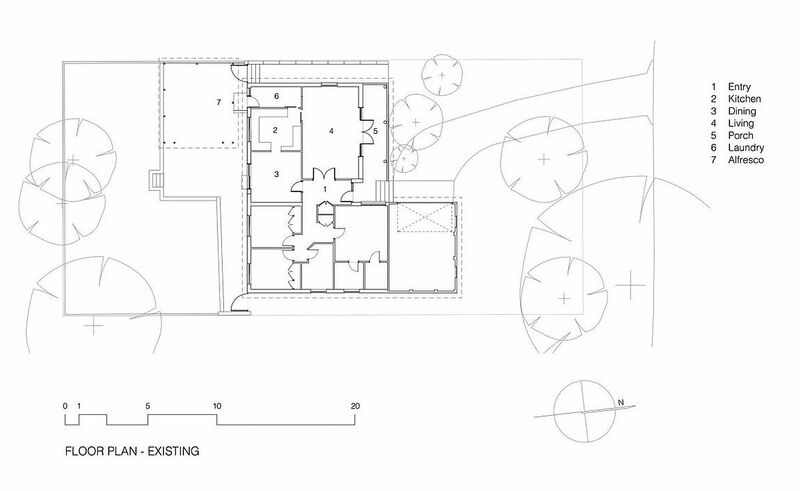 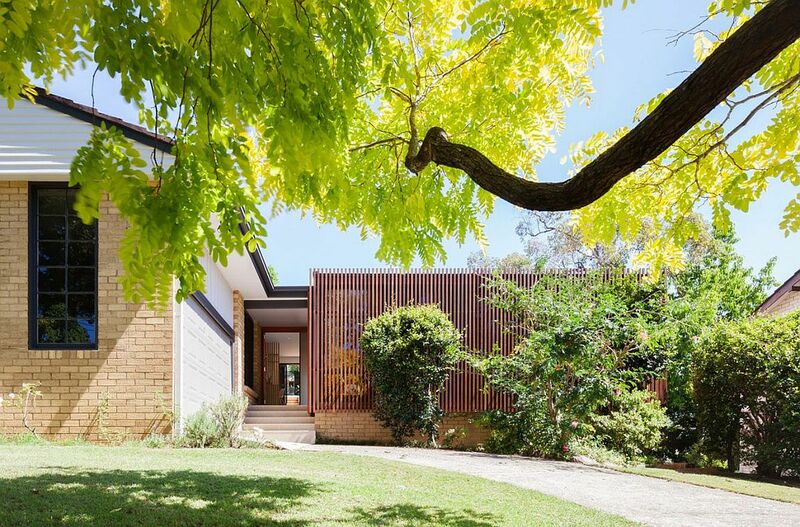 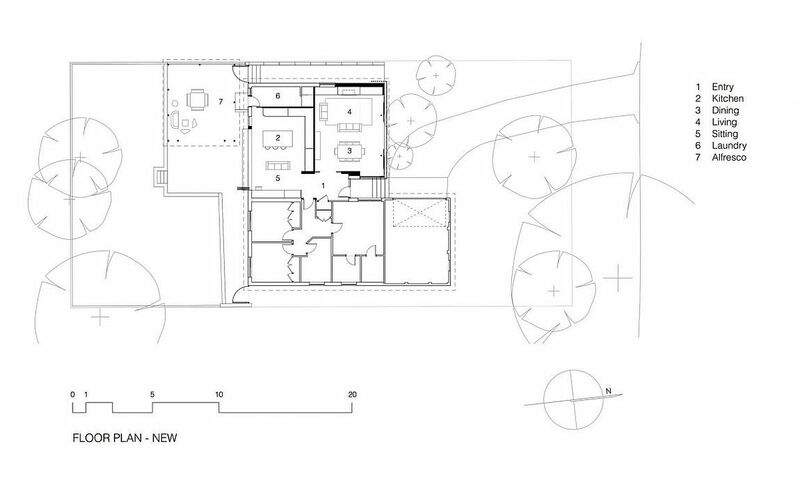 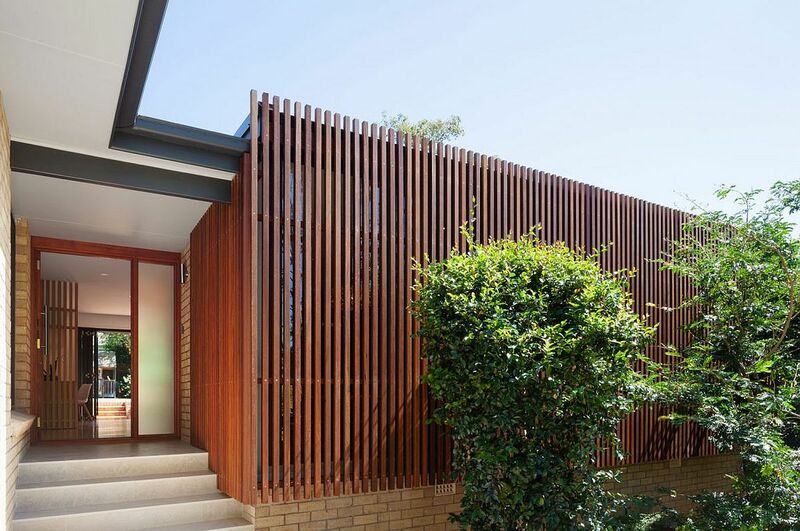 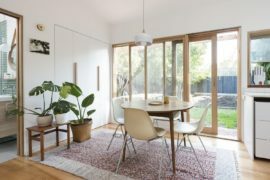 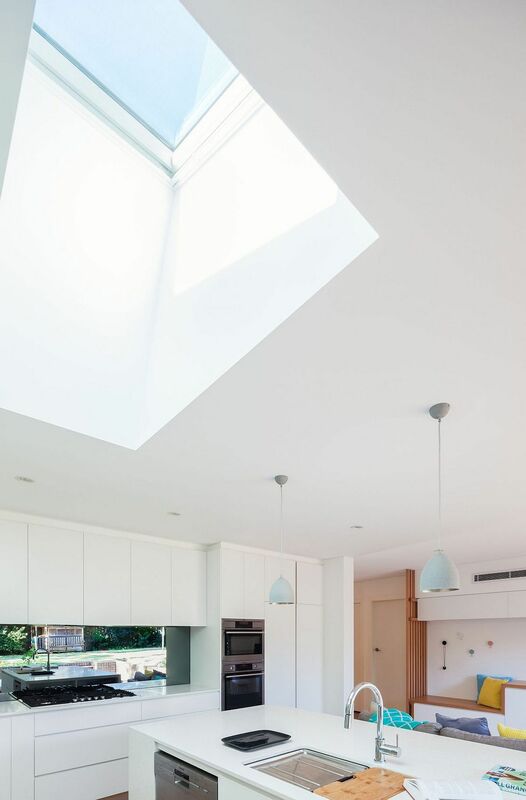 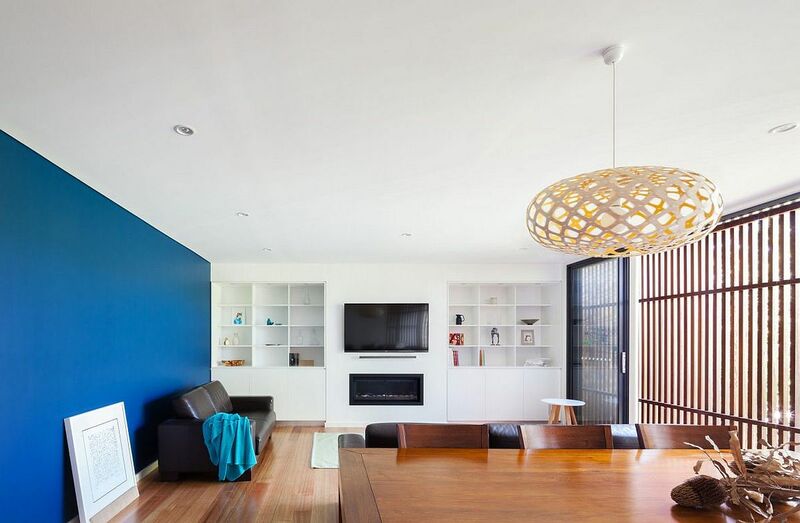 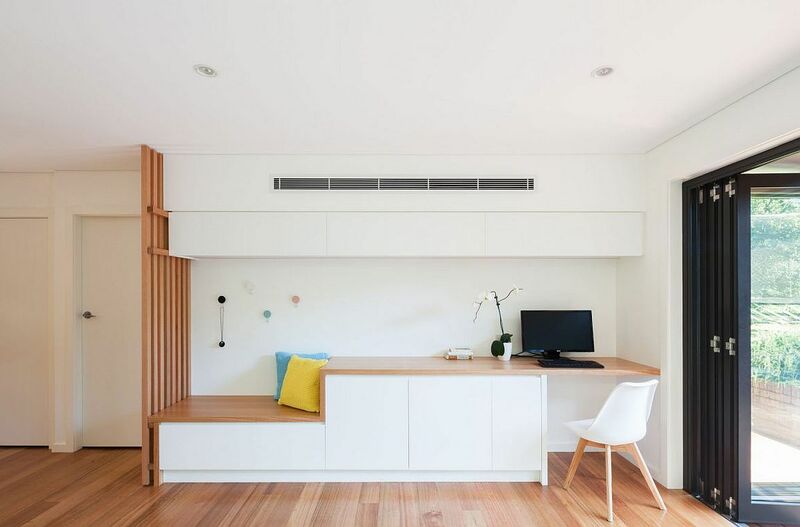 The slated timber addition not only helps create a sense of privacy, but it also filters in sunlight and manages to deliver that fine balance between a cool living environment and a light-filled, cheerful interior.